Nutec Bickley has extensive experience designing and manufacturing tunnel and shuttle kilns for the sanitaryware industry and process. With the integration of the IMPS® combustion and control system, it is possible to obtain high yield levels in 1st and 2nd firing processes with the lowest fuel consumption. 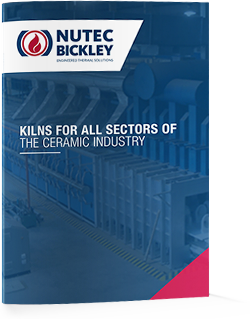 Nutec Bickley supplies tunnel and shuttle kilns with the latest technology in combustion and controls to fire sanitaryware under both oxidizing and reducing atmosphere conditions.